Is it safe to make a purchase at www.bavelworld.com? Our site is 100% secure. The website www.bavelworld.com follows very high standards of security and confidentiality in order to protect your information. If your order has not yet been sent you can cancel it. To do so, contact our team at info@bavelworld.com If your order has shipped, you can't cancel it. However, you have 14 days from the time you receive your order. The product needs to be unused and in its original shape. Return the product equally packaged in the box as it came. BAVEL will only pay the return costs if a product is incorrectly shipped/delivered. 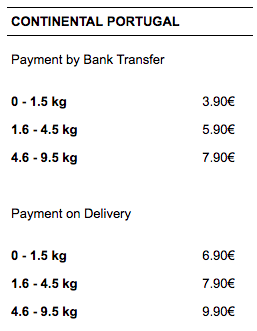 For now, we only deliver our bag in Continental Portugal. Once your order leaves our warehouse, we will send you a tracking number by email. Please ensure you enter the correct email address so you receive this message. Copy and paste the tracking code and track your order at this site. What size laptop can fit in the laptop compartment? The BAVEL backpack are designed to hold 11 inch, 13 inch and maximum 15.6 inch laptops. Which materials is the backpack made from? How can I wash or clean the BAVEL backpack? Use a clammy fabric to remove individual stains inside or outside the bag. The colour of the material may change when wet, so don't worry because the colour will come back to original when dried naturally. You have the right to exchange your product within 14 days after receiving your order. The product needs to be unused and in its original shape. Return the product equally packaged in the box as it came. BAVEL will only pay the return costs if a product is incorrectly shipped/delivered. After 14 days, we will not accept the exchange. If there is a problem with my bag, what I need to do? If you are having problems with your bag due to fault in the manufacture we will replace it, offer repair or provide a full refund. Please send us an email to info@bavelworld.com describing what are the problems. Our quality department will analyze the situation and get in touch with you as soon as possible. How can I return my bag? You can always return your order, either because you didn't like it or because you changed your mind. The product needs to be unused and in its original shape. Return the product equally packaged in the box as it came. Please contact us through info@bavelworld.com before send us the product. Once the BAVEL bag has been returned and checked, we will send the correct refund amount. Depending on your bank, this will arrive in your bank account in the next 1 to 10 days.